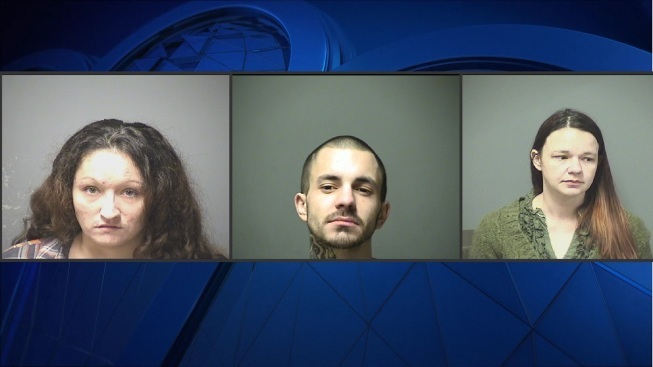 Three people in New Hampshire were arrested after they were found in a car with heroin in the presence of an infant. Police first noticed a suspicious vehicle inside the McHugh’s Funeral Home parking lot in Manchester around 12:30 p.m. on Thursday. The detectives approached the car, located at the corner of Beech and Hanover Streets, and found three people inside. Each suspect was in possession of a syringe fully-loaded with heroin. They also found a 1-month- old infant in the back seat. The baby’s mother, 28-year-old Amanda Gingras of Manchester, was in the driver’s seat. The two passengers were 26-year-old Ashley Gingras from Epping and 27-year-old Zachary Gingras of Manchester. All three suspects were charged with possession of a controlled drug (heroin/fentanyl). Amanda was released on $1,000 bail and Ashley on $2,000. Both are scheduled to appear in the Manchester 9th Circuit Court on February 24. Zachary’s court date is scheduled for January 20. The Manchester Police Juvenile Unit as well as the Division of Children, Youth and Families were alerted after the incident. The infant is now in her grandmother’s custody.